Room is adequately spacious. Location next to mrt station. Reservation is very nice. Ms.Fleona were keen to help us for every requirement. Also, there is one staff who can speak Thai and advise us to have great chinese dinner. 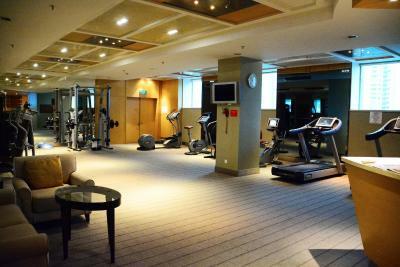 Location is very close to subway and not far from Shanghai New Exhibition Center. It's located right next to TangQiao subway station, so very handy if you're using the metro system in Shanghai which works very well. 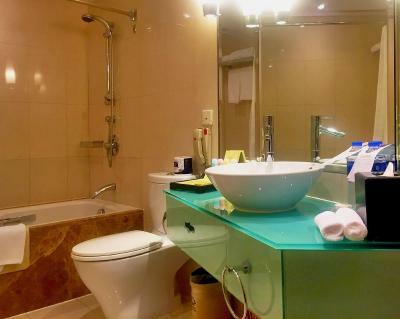 Hotel room, bathroom, toilet and decoration is very nice. cleanliness are fantastic. Good location near Metro and shopping mall. Easy to find restaurant nearby. Priced reasonable. Everything-there staff behaviour ,there cooperation ,there excellent nature ,immediate action for our any request. I am happy with the breakfast. It has enough choice for me. great breakfast. clean and quiet room. metro stop directly in front of the building. 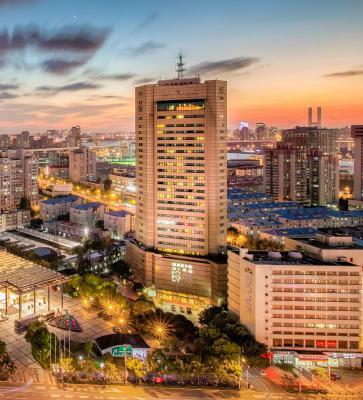 Overlooking the Huangpu River, the luxurious Four Points by Sheraton Shanghai, Pudong is 10-mintue drive from Shanghai International Expo Center and a 15-minute drive from the famous Xintiandi area. 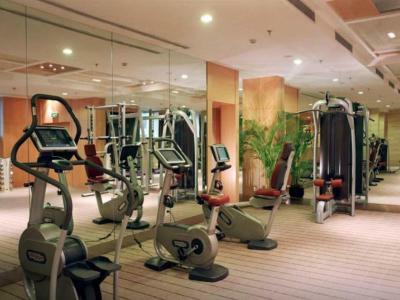 It offers a fitness center and free parking on site. 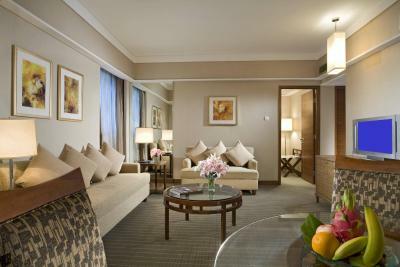 Spacious guest rooms feature views of Huangpu River or the city. 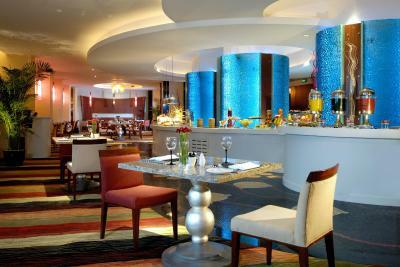 Amenities include a 32-inch flat-screen TV, a personal safe and tea/coffee making facilities. 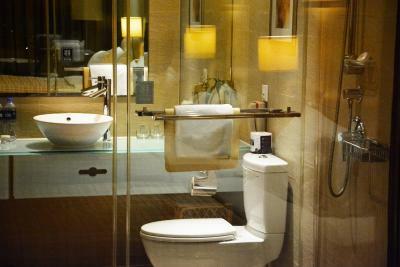 the private bathroom comes with shower and free toiletries. Guests can relax with a massage or unwind in the sauna room. Laundry and dry cleaning services are available. The staff at the tour desk can assist with making travel arrangements. 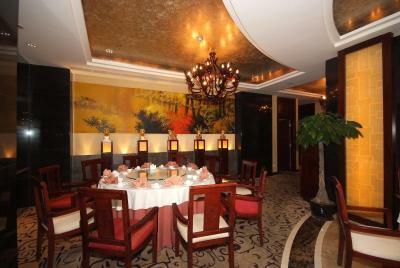 Shanghainese and Chinese delights can be enjoyed at Nian Feng. Riverside Café offers international options. 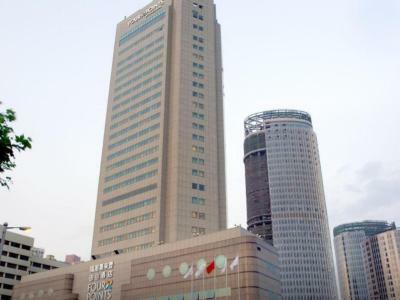 Four Points by Sheraton Shanghai, Pudong is a 1-minute walk from Tanqiao Metro Station Line 4 and 5.6 mi from the Bund. 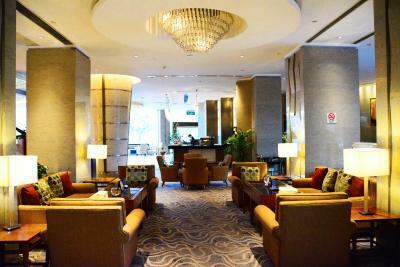 It is a 25-minute drive from Shanghai Hongqiao Airport and a 30-minute drive from Shanghai Pudong International Airport. 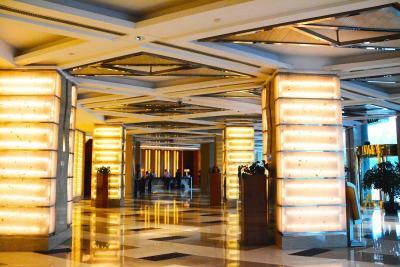 When would you like to stay at Four Points by Sheraton Shanghai, Pudong? This double room features a tile/marble floor, air conditioning and hot tub. This double room has a hot tub, air conditioning and tile/marble floor. This double room features a hot tub, air conditioning and tile/marble floor. This double room has a hot tub, tile/marble floor and air conditioning. This double room features a tile/marble floor, air conditioning and sofa. This double room features a hot tub, tile/marble floor and air conditioning. This double room has a tile/marble floor, air conditioning and hot tub. 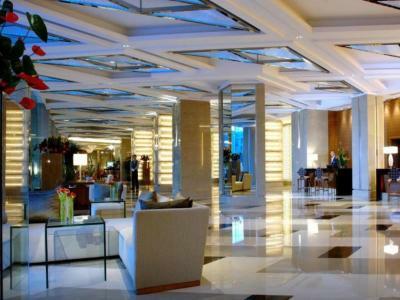 Our hotel forms part of a complex joining two hotels, residences, office space, and a shopping area, which provides an ideal location for shopping and exploring “The New York of Asia”. 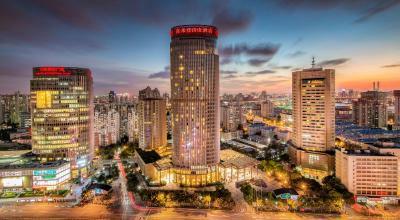 House Rules Four Points by Sheraton Shanghai, Pudong takes special requests – add in the next step! 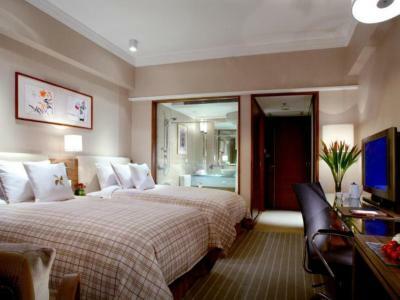 Any additional children or adults are charged CNY 309 per night for extra beds. 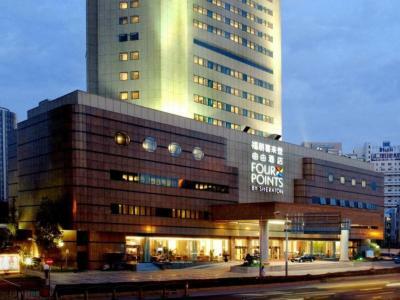 Four Points by Sheraton Shanghai, Pudong accepts these cards and reserves the right to temporarily hold an amount prior to arrival. Could have had a bit more variety to the breakfast. Room Quality and cleanliness. Helpful staff. I stayed for 8 days at one price and wanted to extend by one day. The receiption counter claimed they couldn't do this and to use Booking.com. Booking.com gave me a higher price but within range, but then I was surprised by the extra costs such as 10% service charge and 6% VAT. There is no reason in 2019 to not state the full rate. This led me to pay much higher charges for the additional day and really spoiled my view of the Four Points, because they would not match my earlier day rates. I should not have booked with Booking.com as Breakfast was not included. 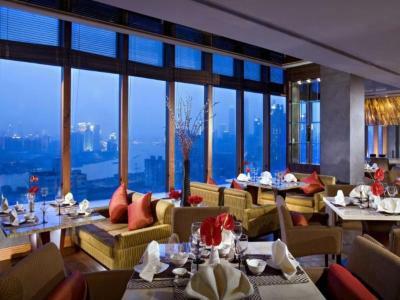 The staff were surprised each morning when I had to sign the voucher adding an CNY166 to my bill each day. I also thouht the prices in the Sports Bar were ridiculously high. No wonder it was empty each time I looked in. The price was too high for the view only. 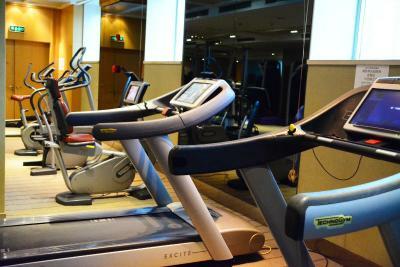 the gym is small, a little discomfort with lighting and smell including the equipment is very few. cleanliness could be better and the hotel is old. Nothing like the photos you put up in the website. Little bit difficult to ge a taxi.. Very helpfully staf and Clean..